At this point, it is commonly accepted that Apple will launch a new, 5.8-inch iPhone dubbed the iPhone 8 later this year, with two smaller iPhones arriving beneath it in Apple’s product lineup. 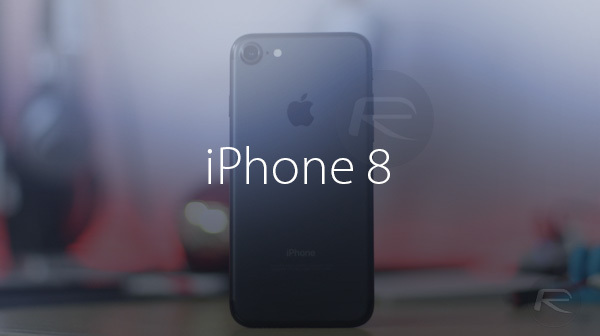 It’s this iPhone 8 that is causing quite a stir right now though, with many rumors about the device swirling around the internet in what is fast becoming a perfect storm of speculation. The latest piece in the puzzle is a report that claims Apple will ditch the Touch ID fingerprint sensor for the iPhone 8, with a new 3D laser sensor being added to the device in order to allow for a new face recognition system. The claim comes from JPMorgan analyst Rod Hall who points to claims that the iPhone 8 will feature a full-screen edge-to-edge screen design, which will eliminate the Home button as we know it today. That means Touch ID may not be available as well, though patents for Apple’s fingerprint sensing technology built into a screen are already out there. If Touch ID does die an early death though, the new 3D facial recognition system would replace it as a method of authentication for things such as Apple Pay and generic on-device security. The new sensor is expected to cost Apple around $10 to $15, which, when coupled with the extra expense associated with the larger screen and such, does jive well with previous reports suggesting the iPhone 8 will cost as much as $1,000. As well as being used for security, Hall points out that the 3D sensor could be used in augmented reality settings as well. We are, of course, still over six months away from the iPhone 8 being ready for its big debut, so we expect these rumors and analyst claims to continue between now and then. Some may shore up what we already think we know, and some may contradict it. All we do know is that by October, we should know all the answers for sure. So they are turning the iPhone into tablet size? Gimme a break! Keep up the horrible work Apple! Since Jobs died, you have no idea what the public wants. Don’t forget about using Apple Pay with Touch ID. Think of bigger screen area, but same body as the Plus versions. Plot twist…there will only be an iPhone 7S this year. Facial recognition doesn’t work in dark conditions.. This is fucken retarded. 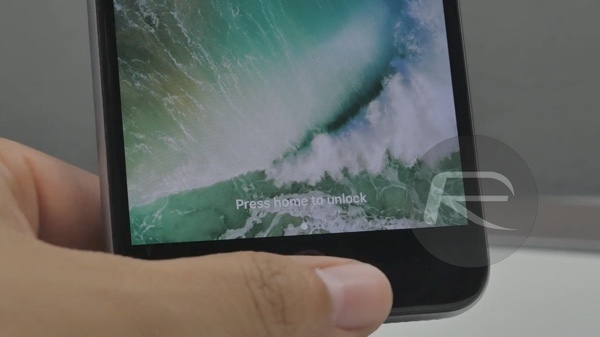 Touch ID is fast and accurate it’s not going anywhere. I think the same. Touch ID works great. Apple will never remove something that works without issues and test something new. I never used Touch ID and I will never use this 3D Facial Recognition Sensor either. NEVER! Don’t trust their technology to use for fingers or face. Leave it alone. I am using an old fashion: PASSWORD. NEVER NEVER AND NEVER! Good for you then why are you here anyway ? Last I heard, 3D laser sensors worked in the dark, in fact, they probably work better in the dark, but I’m guessing here. Or did you not read the article? Um, no. They’re talking about edge to edge display. Imagine making a purchase with Apple Pay on your iPhone, but doing a facial recognition scan instead of having to just hold your phone on the sensor and place your thumb on the Touch ID. That’s what my comment was about. Did you not think about it? Nope, your comment was utterly unclear about that. Suggest re-reading before hitting post to ensure you convey what you’re thinking.